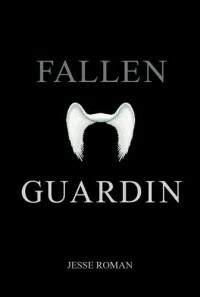 Fallen Guardin - Jesse Roman - So many books, such little time. She saved the only man she ever loved. Now she has to pay. Reese Featherway is a troubled young man who recently lost his loving girlfriend Olivia six months prior. Deep in his depression and guilt over her death, he one might decides to end it all. He jumps off his balcony to kill himself so he can be with her again in death. But as he is falling, he is rescued by his guardian angel, Olivia, who is now in severe danger for saving his life and risks eternal damnation. In an enchanting and heartbreaking story, two passionate souls ripped apart by death are now brought back together to possibly make the ultimate sacrifice. It's a sacrifice for their love against the evil that wishes to tear them apart. I got given this book through the Goodreads Giveaway back in the summer which is also signed by Jesse. I cannot remember whether this was an advanced copy and it doesn't mention it at the front of the book but there were many grammar mistakes. The there they're and their was used incorrectly as well as here and hear. There was also a problem with the continuity, on page 73 Reese, the protagonist is referred to as Ryan?!? Another continuity error, we are told that you can only see your own guardian angel and in a scene when Archer shows up, Reese can't see or hear so Olivia has to say what Archer is saying but then a few pages later when Olivia is kidnapped, he's having a full on conversation with Archer when there's no one else there to translate for him. The narrative had the potential to be fantastic but the way it was conveyed was pretty terrible.